Casino promotions have become a matter of fact these days, rather than the occasional perk as you would find in the early days of online casinos. A mainstay of all casino site has become the Welcome Bonus, designed to motivate new customers to register with them. Bonus money, free spins and free bets are all standard offers in the industry, with each brand bringing their own unique spin to the formula. Each gamer is as different as the next, so an online casino knows that it’s best to stand out as to appeal to as many users as possible. At Casino.com, their draw is that their Welcome Bonus starts rewarding its customers before they put down their first deposit. There’s 20 spins to play on Age of the Gods waiting for everyone who completes the registration process. The first deposit brings new players a 100% casino bonus up to £100 and an additional 180 spins, again to play on Age of the Gods. Each and every evening, there’s a special two hours to make a deposit and recieve 10 spins for every £10 you pay. All you have to do is enter the code, HAPPY, between 7pm and 9pm, and the spins are all yours. Every month, Casino.com will choose a new slot to spend these free spins on. There’s new favourite offers and deals to look forward to every week. On Tuesday evenings the Golden Hour starts at 8pm and doesn’t stop until midnight. Collect Golden chips by playing on a selection of roulette games, each worth £1 and come with no wagering requirements on winnings. Play table and live casino games to your heart’s content every Tuesday. Wednesday follows such a lovely Tuesday with the Red or Black promotion. You could use the code, RED, to get 50 spins on Age of the Gods: God of Storms if you hadn’t had your fill with the Welcome Bonus. Or you can always try BLACK and get 25 super spins on Jurassic Island. Fridays will also be a day to look forward to with a deposit bonus every week. Every Friday there’s a new featured slot on which to spend the £5 bonus. Use the special bonus code to get this deposit bonus. Everyone likes sharing, so it’ no good keeping this online casino all to yourself. If you successfully recommend Casino.com to a friend, you will get a £50 casino bonus to enjoy. You can refer up to 20 people by submitting their email addresses to the cashier, meaning there’s the potential to gain £1,000 to spend anywhere in the casino. Technology has come on leaps and bounds since the millennium and, for casinos, this has been the rise of online gambling. The latest development has been the jump from desktop computers onto any mobile device that can connect to the internet. This has set online casinos free, the movement online letting customers play whenever they want and mobile gaming letting them play wherever they like. There has been a sharp rise in games made especially for fingers tapping on a screen. Table games, video poker and slots have all benefited from this technological makeover. Casino.com has not been left behind in these technological advancements and has an app for both Apple and Android phones packed full of mobile games. Each bonus, from any casino online, comes with terms and conditions that must be followed to get the full benefit of the offer. When it comes to online casinos, there are always a few things to bear in mind before you click the button to join in. Wagering requirements are a standard term when it comes to free spins and bonus money given put in online casinos. It’s a condition essential to maintaining responsible gambling standards and preventing money laundering. Nonetheless, it can be a surprise to newcomers and it’s worth looking at the details before going ahead with a bonus. At Casino.com, the wagering requirements tend to be between 15 and 20 times the bonus amount which is considerably lower than most online casino with a 30-40x playthrough being typical. Your status as a new player might also exclude you from some promotions, with many offers, excluding the Welcome Bonus, requiring participants to have made their first deposit before joining in. On the other hand, Welcome Bonuses are only available to new customers. Sometimes, payment methods and e-wallets are excluded from promotions and only a selected number can be used. 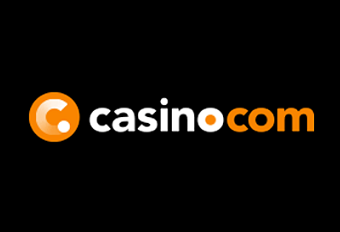 A good example is the Casino.com Welcome Bonus which excludes Skrill and NETELLER as payment methods but allows Boku and PayPal.